That’s the message from Brabantia in their latest initiative which sees them, in conjunction with The Hunger Project, committed to the sustainable end of world hunger by the year 2030. In our developed world one third of the food produced is wasted, and Brabantia’s newest innovation tackles this food wastage head on. 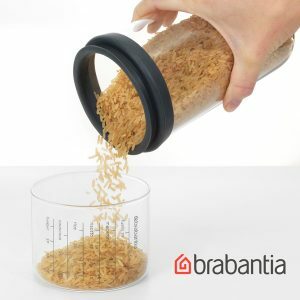 As a solution to this global issue Brabantia have created storage jars with in-built measuring cups. These unique measuring cups allow you to measure precise portions of rice, pasta & couscous per person, thus ending the guesswork and poor portion control which can traditionally effect these dishes for many of us. The jars are attractive and stylish, and available in a number of colours. They not only help you avoid leftovers but also prevent any spills – a win-win situation! 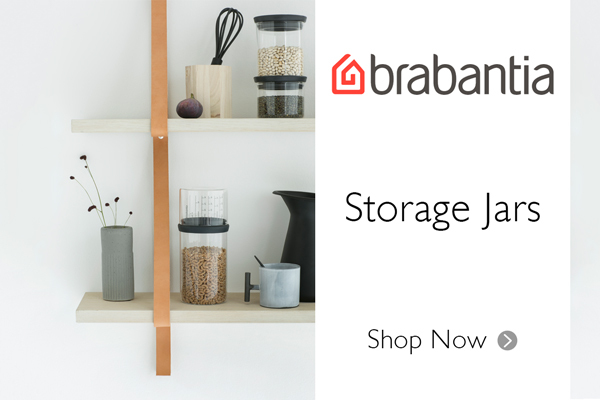 For every jar sold Brabantia makes a donation to the The Hunger Project. One jar bought means a donation equivalent to the cost of training one person in the rural villages of Africa, South Asia and Latin America. This training helps the men and women of these villages to unlock their capacity, creativity and leadership which helps them to take control of their own development and thus end their poverty and hunger. baking, Brabantia, cooking, hereford, Herefordshire, Philip Morris, Philip Morris & Son, Philip Morris And Son, The Hunger Project. Bookmark.